Review: Wow, wow, wow. I absolutely loved this book. I would go so far to say this is one of my favorite YA reads thus far. 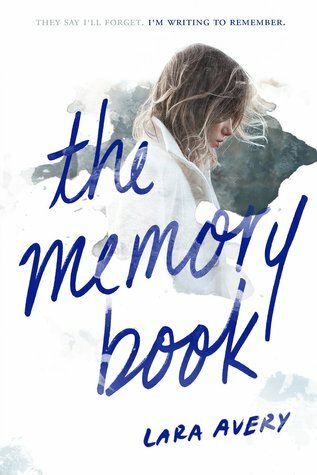 The Memory Book is about Sammie, a senior in high school who is a type A overachiever with a plan to get out of her small northeast town and go to NYU. Her plan hits a bump in the road when she is diagnosed with a rare genetic disorder that will soon cause Alzheimer's type memory loss. Sammie decides to write a book to her future self. I loved the unique format and I really became attached to Sammie herself (maybe I could see myself in her as I'm also a type A overachiever from the northeast who couldn't wait to "escape" to go to college). Although we know how the story is going to end, Sammie's journey was sad (yes, I cried) but I was also able to smile at the last few entries in the book. Overall-great book. It reminded me of a YA 'Still Alice' in a more unique format.